Swarovski Edelweiss and Infinity Cut! 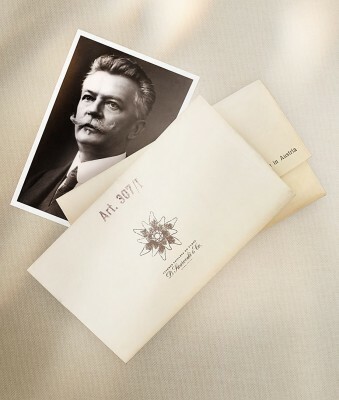 Swarovski is celebrating its 120th anniversary with the launch of two new crystal innovations that show the dedication to tradition, pursuit of purity, and strength of character first demonstrated by the company founder, Daniel Swarovski. 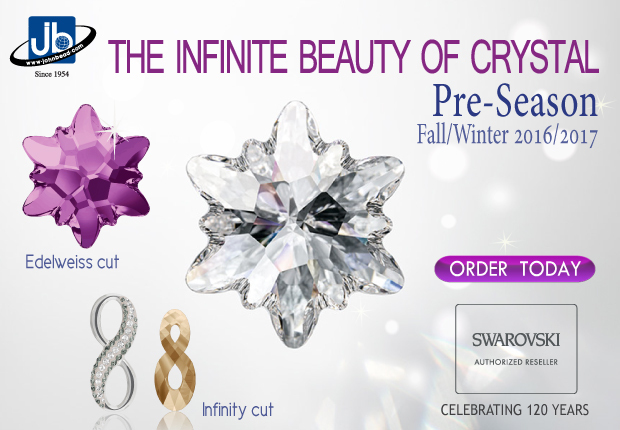 In celebration of his achievements, Swarovski is launching two new crystal cuts: Edelweiss and Infinity. Don’t forget, if you make a $2500 order of any Swarovski products, including the ones in this promotion, you have a chance to win a trip to visit Swarovski and Crystal World in Austria for two! Swarovski contest information linked here. Author Carmi CimicataPosted on May 6, 2015 Categories Swarovski Contest, SWAROVSKI InnovationsTags InfinityLeave a comment on Swarovski Edelweiss and Infinity Cut! After 120 years in the pursuit of brilliance, there could be only one way to celebrate: the creation of two new crystal cuts for Pre-Season Fall/Winter 2016/17, one each to embody the heart and soul of Swarovski. Inspiration for the first cut came easily. 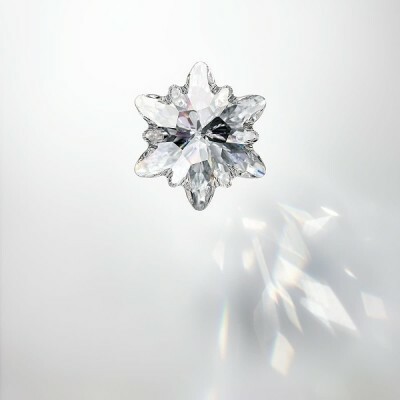 What better symbol of the dedication to tradition, the pursuit of purity, and the strength of character first demonstrated by founding father Daniel Swarovski than the edelweiss? As well as being chosen as the first company logo, which endured for almost a century, this exquisite flower has been an emblem of Austria and the rugged beauty and purity of the Alps for hundreds of years. It’s all there in the name, which translates as ‘noble white’. The gift of edelweiss to a loved one, so the story goes, is a promise of devotion. Search for it in Romantic literature and you’ll find tales of love-struck beaus scaling mountains in search of its striking beauty—the clustered florets framed by petals in a double-star formation with soft silver foliage. As an exceptional reinterpretation of this celebrated alpine flower, the Edelweiss cut reflects upon the importance of origin in a time of increasing globalization, while also exhibiting a crystalline beauty of singular grace. 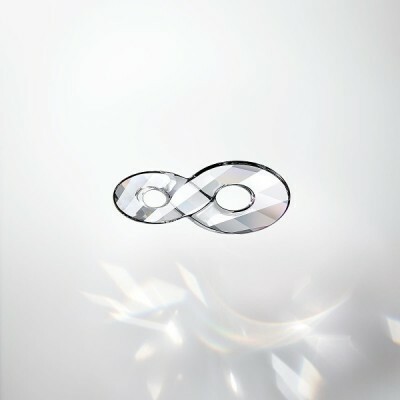 The second cut, Infinity, celebrates a more abstract concept. Myriad facets sparkle infinitesimally, and an ever-growing variety of shapes, sizes, colors and effects continue to add to the glittering multitude of crystals in the Swarovski collection. Then add to this the eternal splendor of crystal as it transcends time and space with a magical radiance that has the power to speak through the ages. What could be more fitting as a symbol of this timelessness than an endlessly entwined knot? It’s the ideal tribute to Swarovski’s proud past, its dynamic present and its luminous future. Author Carmi CimicataPosted on May 4, 2015 May 6, 2015 Categories SWAROVSKI InnovationsTags InfinityLeave a comment on Swarovski Edelweiss and Infinity Cut!